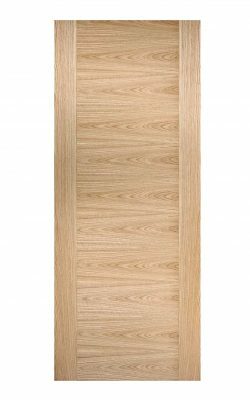 Oak Sofia FD30 Fire Door. Sleek contemporary style with smooth, clean lines . One solid wood-grained panel, enclosed in vertical side borders. Engineered, Hardwood, solid core (weight up to 50g). Available as a standard (35mm) version and as a 3-Light Glazed variant too.